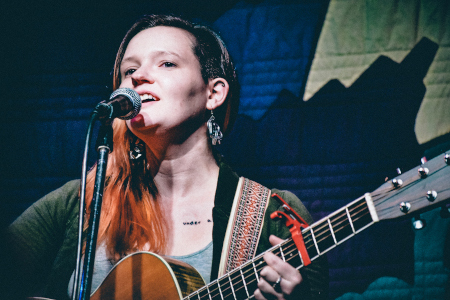 Mixing seemingly effortless musicality and original storytelling, Grace Morrison turns deeply personal and historical stories into song for listeners from all walks of life. “With a crystal clear voice and songs that land squarely in your heart, Grace has something truly special,” says producer/performer Jon Evans of Brick Hill Studios. And Jon should know, he has spent his career playing with the very best singer-songwriters of our generation: Tori Amos, Sarah McLachlan, Ben Folds, and Paula Cole. 2017 was a turning point for Grace as she released her first full length CD: “I'm The Apple”. The deeply personal album is full of catchy choruses, history, emotion, and storytelling; all key elements of her unique style. Grace is a regular on national festival circuit and has won a number of prestigious awards including the Eventide Arts Songwriting Competition and the Big Break contest where her music video was played on the season finale of American Idol. Rachel Marie follows in a tradition of unapologetically forthright women folksingers, with songs that hearken to "overstuffed lines of Tori Amos, philosophical turn of Indigo Girls, and lilting vocals like Joni Mitchell." The social awareness of folk meets the introspection of the singer-songwriter tradition with a moderate dose of snark. An endearingly quirky stage presence as honest as her songs keeps audiences charmed. 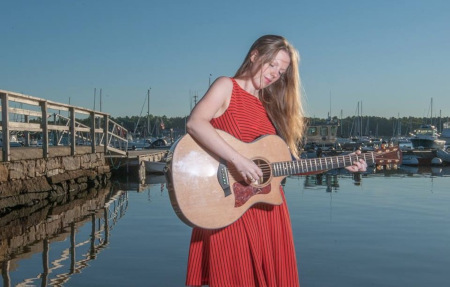 Boston-based and Pennsylvania-raised, Rachel has shared stages with Cheryl Wheeler, Antje Duvekot, Michelle Lewis, Grace Morrison, and the Kennedys. Her November 2018 single “Looking for Light” was featured on an officially curated Spotify playlist the week of its release. Admission is $15.00 unless otherwise noted. Musicians -- Interested in playing at Off The Common?